With just a few to days left in 2017, we all are very excited to welcome the new year. A lot of us a planning to party on new year’s eve and also looking for the best party place to hang around to have the best new year. So, We bring to you a list of Best Party Places in Bangalore to Celebrate New Year 2018 which will definitely make your new year special and a thrilling one. As we all know Bangalore is everyday coming up with new party ideas and places. This beautiful Garden city id not only an IT hub but also has some really exciting places to hangout and party. This city is one of the best places to have a night life and when its about spending new year’s eve here. There are so many ideas. Not only these parties are amazing but also you can choose the parties according to your budget. Also if you book tickets from paisapwapas, you get flat 3% off on these new year parties booking. So are you guys excited for the new year. Read this article to get all the ideas about the Best Places to Celebrate New Year Parties In Bangalore 2018. 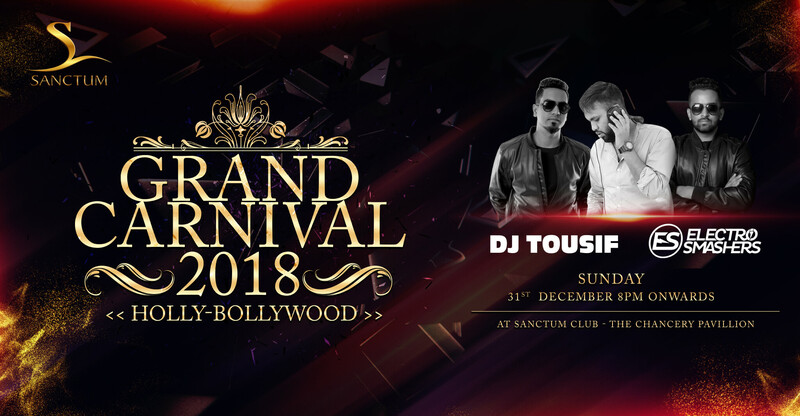 The ticket to bollywood is one of the events Bangalore has been waiting for so long and now its time to be exited to be a part of it and enjoy its Bollywood night this New Years at the fantabulous 5-star venue. 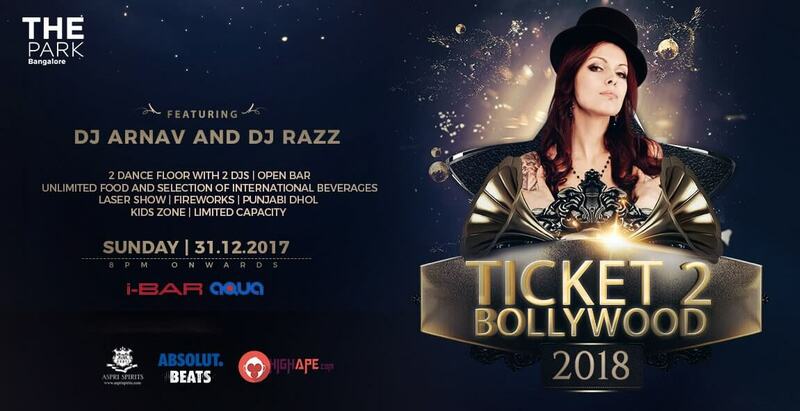 The love you have for bollywood would be exaggerated to another level this new year’s eve when the rockstar of Bollywood DJ Arnav (from DJ Aqueel Academy) by the pool and DJ Razz (live mix & DJ remixer are present in the party. This New year’s Eve at The Park is going to be amazing and you will be transported into a sparkling world of glamour and wild music, complemented by a mesmerizing spread of buffet. 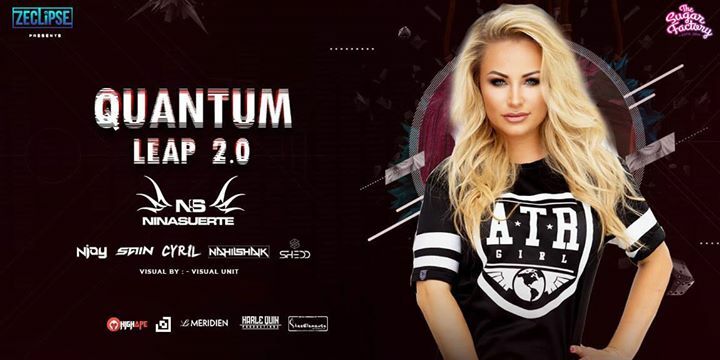 Ecstasy 2018 can be considered one of the the most sizzling and the best party in Bangalore! Dance to the best Bollywood beats, and enjoy swaying your body with the best dance moves ever. This eclectic the,ed party night would be awesome with snacks, starters, and drinks to keep the atmosphere sizzling hot. DJ Prem will play the jazziest tunes. We have exciting games which would be played and a lot of amazing gifts to be won. Age Limit for this party is 21 years and above. The tickets start from 4999 and above and if you get these tickets from paisawapas, you get flat 3% cashback. Bangalore has been an amazing place when it comes to hosting parties and where you can live your dreams of celebrating a fabulous year ending at the Prime Locations. This Amsterdam NYE 2018 party is hosted by Vivanta by Taj – Yeshwantpur. You can get its tickets starting at a price of 1999 only. If you get your tickets from paisawapas, you get flat discount of 3%. So are you excited to be a part of the best parties in town.